See your chosen words illuminated by candlelight with this very special glow-through candle. 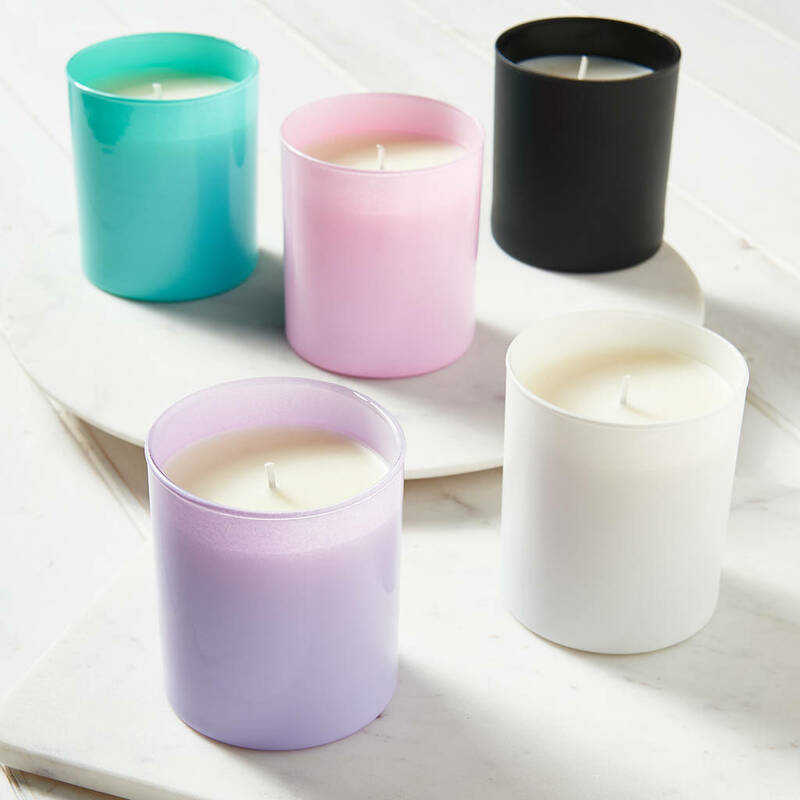 Beautifully scented, this hand poured glass candle makes a unique gift and treasured keepsake. Etched with your chosen special message, this candle is available in a choice of colours and scents. 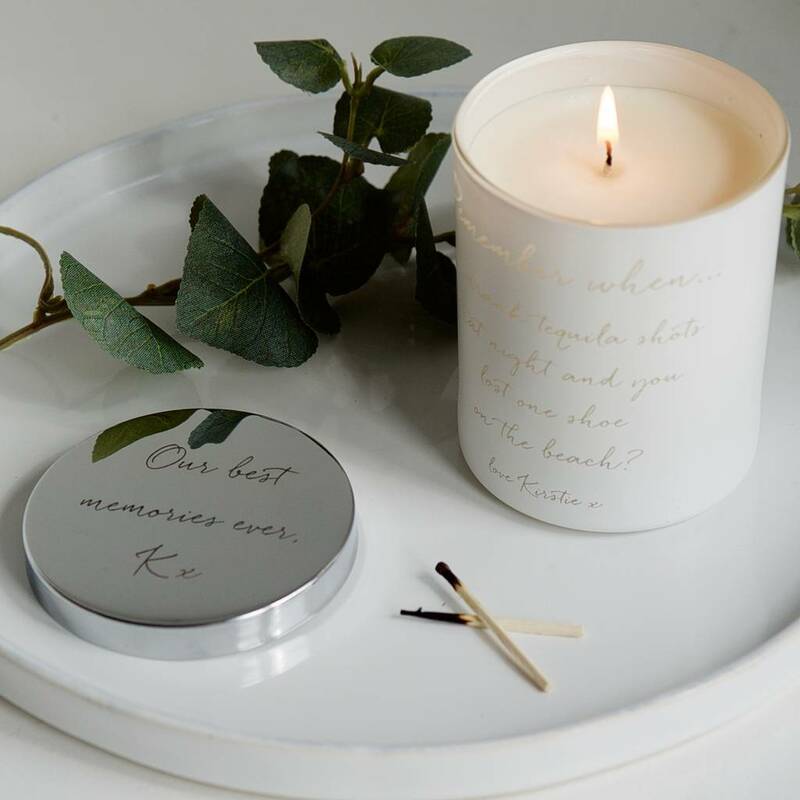 You can add a personalised silver plated luxe candle lid for an additional £10, etched with your chosen words. Once your candle has burnt down you can simply place a tea light or flowers in the personalised glass jar and continue to enjoy it. White- Wild flowers-A wild meadow full of flowers and freshly cut grass. Pretty and carefree. Black - luxurious vanilla blended with soft amber and velvety musk, an opulent and rich scent. Turquoise - Posy – An uplifting, feminine scent of fresh white florals with notes of jasmine, vetiver and peony. Do you love the feeling of receiving something special? We do. That's why we create gifts you love to give, moments you love to share. Create your gift. Share your moment. 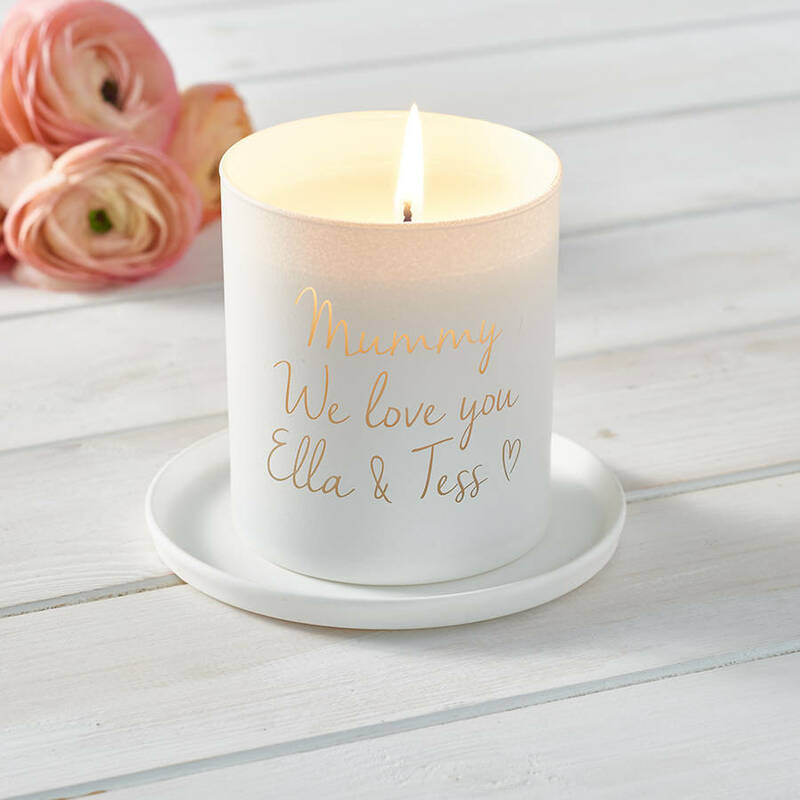 Each candle will be bespoke etched at our studios in Surrey and will be sent to you in a white gift box with branded sticker. 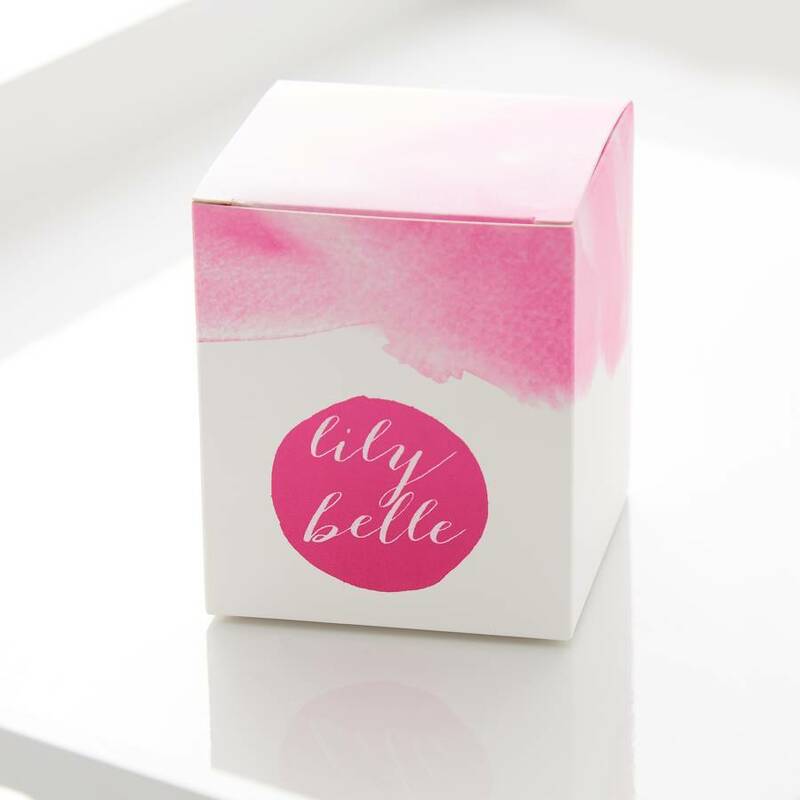 This product is dispatched to you by Lily Belle Home.